2018 Term 2 Lessons Update! We are so excited to share with you updates from the agricultural engineering unit lessons that teachers in the Yiya program are teaching this term to students in their schools. Unlike in previous terms, when the Yiya team has taken the lead in designing engineering units and then co-teaching them (with our partner teachers) at schools, this term we have supported our partner teachers to design an agricultural engineering unit of their very own! After designing their unique unit in teacher groups, partner teachers are co-teaching students together during Yiya lesson blocks, with the support of the Yiya field team. The lessons in these agricultural engineering units teach students how to apply the classroom knowledge of science, agriculture, and mathematics to design a technology that solves one of three major agricultural problems found in Lira District, Northern Uganda: destructive crop pests, persistent drought, and lack of post-harvest storage for perishable produce. Our team has been hard at work supporting and observing teachers as they teach these units that they designed. These lessons are so special because, after every lesson, the Yiya team member who observed and supported the lesson meets with the parter teachers who taught the lesson, to reflect on how the lesson went. The Yiya team and the teachers together discuss how R-E-A-L the lesson plan was and what the implementation felt like. Everyone shares positive and constructive feedback from their own perspective. 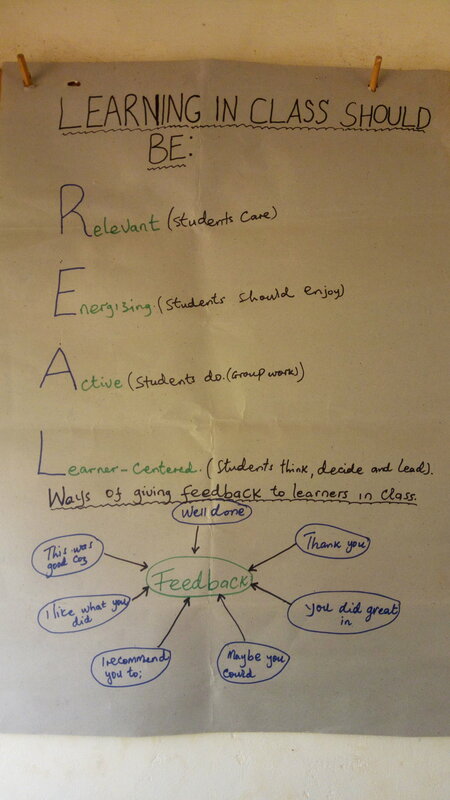 Click here to read about Yiya's recommended “REAL” teaching criteria. During each post-lesson group reflection, Yiya team members and our partner teachers use an innovative lesson reflection tool that we developed. Please click here to see our innovative lesson reflection tool. A poster made by Yiya partner teachers for their staff room at Archbishop Orombi Comprehensive Secondary School, reminding themselves to keep their teaching R-E-A-L! We strongly believe that program activities such as these teacher-led agricultural engineering units and group reflection sessions will equip and empower teachers to transform education into a student-centered journey focused on developing STEM skills through community-based engineering projects! Do you want to see one of the lessons conducted by these Yiya-trained teachers? Very easy! 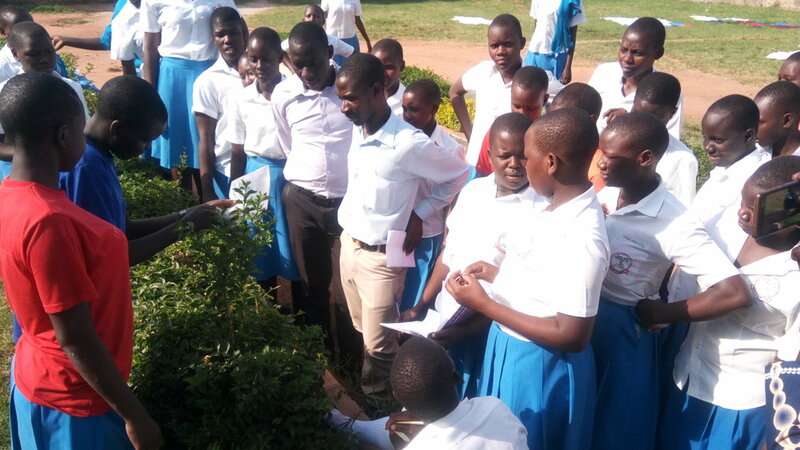 Click here to watch part of the lesson that a Yiya partner teacher, Mr. Musa Ramathan, conducted at Rapha Girls Secondary School, Lira District, this past week. In this lesson, Mr. Musa, Mr. Baker, and their students were checking on the experiments that student teams had designed and set up in the previous lesson to evaluate the transpiration rate of different plants. This is one lesson in a larger unit in which students are researching, designing, prototyping, testing, and improving a low-cost greenhouse made from locally available materials, which can protect crops during the drought season in Northern Uganda! Newer PostYoung Achievers Awards 2018 Finalist: Samson Wambuzi! Older PostAgricultural engineering unit! Teachers teaching it!